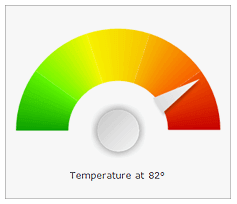 The complete set of radial (circular) and linear gauges, numeric displays and state indicators, that are all loaded with advanced options ensures that you have a superior set of KPI visualization methods “out of the box”. Multiple gauge areas, ranges, pointers and axes, and fine control over all aspects of the gauges layout and appearance are just a few of the gauge related features, that make this web part essential for the conversion of SharePoint pages into interactive reports. The industry leading gauge axes model, backs the scaling of data inside radial and linear gauges. It automatically resolves axis labels overlapping in the complex radial case and preserves your font settings regardless of the way in which you resize the gauge. Multiple axes with advanced axis positioning, ticks, stripes, sections, const lines and ranges and intelligent non-overlapping axis labels are just a few of the axis related features, that make this web part a prime tool for enterprise dashboarding inside SharePoint. This web part features an incredible, entirely visual designer, which will help you configure your gauges in minutes – visually and directly in SharePoint. Changes that you make to the gauge are previewed in real time so that you can instantly see the effect of your settings. The web part features a very sophisticated data aggregation engine that allows you take advantage of the power and flexibility of Nevron expressions. It is the only gauge for SharePoint with embedded data analysis features. The combination of easy-to-use and rich visual editors, incredible gauge flexibility and unique data analysis capabilities, is why this web part is a prime choice for users that seek the ultimate KPI tool for SharePoint. And many more advanced Gauge Web Part features! 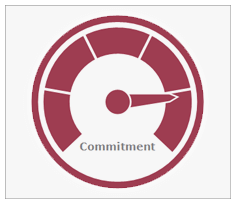 With Nevron Gauge for SharePoint you can create complex gauges, KPIs, Scorecards and Dashboards visually and directly in SharePoint 2007, 2010, 2013 and 2016 environment. 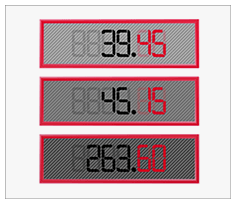 This is an advanced web part, delivering a complete set of radial and linear gauges, numeric displays and state indicators, driven by pivot data aggregation.